Word on the street is that there is some sort of big football game taking place in New Orleans in a few days. Let’s talk about that. A quick trip back to last fall in the ol’ DeLorean reveals that my NFL prognostications were…as usual…hit & miss. The Good – I predicted 6 out of 8 division winners correctly. I was particularly in tune with the AFC, which since I am a lifelong Steelers fan makes sense…I just naturally pay more attention to the AFC. I also got 6 out of the 12 playoff teams right. I said the AFC title game would be New England vs. Baltimore and it was. While a lot of talking heads were shrugging off BountyGate and saying that Drew Brees would still make his team a contender I said that “I do not believe that a team can go through the turmoil that the Saints have experienced this offseason and not be affected.” I was more right than they were. The Bad – While I knew the Saints would have some issues I still had them going 9-7 and winning their division. Instead they went 7-9 and never quite got things figured out. I may have had Baltimore & New England battling for the AFC crown, but I thought the Patriots would win. Obviously I was wrong. I had a brief lapse in judgment by making the Dallas Cowboys a 10-6 wildcard team, forgetting that they are the model for dysfunction. They could have finished 9-7 and actually won their division but lost the last game of the season. I gave too much credit to my Pittsburgh Steelers, predicting that they’d be a 10-6 wildcard. Instead they finished 8-8. It’s gonna be a tough couple of years for the black & gold until they escape some salary cap issues and get a lot younger on defense. Taking the 10-6 wildcard spot in their place were the Bengals, who I said would go 9-7. The Ugly – I thought last season was just a hiccup for the Philadelphia Eagles and predicted they’d right the ship by going 12-4 and winning their division. In reality the direct opposite occurred…they went 4-12 and fired their coach. I said of the Minnesota Vikings that “if RB Adrian Peterson doesn’t recover as well as hoped for from knee surgery it could be a v-e-r-y long year for the guys in purple” then predicted they’d finish 2-14. Well okay…I did say IF. Peterson did recover. He recovered so well that he came within a few yards of breaking Eric Dickerson’s single season record for rushing yards, is a serious contender for both league MVP & Comeback Player of the Year, and led the Vikes to a 10-6 record & a trip to the playoffs. I not only had the Carolina Panthers in the playoffs…I had them in the NFC title game. In the world of rational sanity QB Cam Newton suffered a bit of a sophomore slump and we saw that he doesn’t have that great of a team around him. The Panthers went 7-9 and are obviously a few years away from contention. And my biggest snafu was obviously the Atlanta Falcons. I said I wasn’t sold on them, that they’d finish in last place at 7-9, and that QB Matt Ryan would soon be looking to ply his trade elsewhere. Needless to say I was a bit off since the Falcons had the best record in the NFL and came very close to getting to the Super Bowl. This weekend the NFL will elect a new class to be enshrined into the Hall of Fame next summer. The finalists are: offensive lineman Larry Allen, RB Jerome Bettis (The Bus), WR Tim Brown, WR Cris Carter, defensive lineman Curley Culp, former 49ers owner Edward DeBartolo Jr., ,linebacker Kevin Greene, defensive end Charles Haley, former Cleveland Browns & Baltimore Ravens owner Art Modell, offensive lineman Jonathan Ogden, legendary coach Bill Parcells, WR Andre Reed, linebacker Dave Robinson, defensive tackle Warren Sapp, offensive lineman Will Shields, defensive end Michael Strahan, & cornerback Aeneas Williams. The committee will pare this group down to 4-7 enshrinees. I don’t think this group has any slam dunks, but if it were up to me the new class would have seven members: Allen, Bettis, Brown, Carter, Ogden, Parcells, & Strahan. I don’t know enough about Culp & Robinson to intelligently comment. I don’t think DeBartolo gets in for awhile simply because he was forced to give up control of the team in 2000 due to legal issues involving alleged extortion & political corruption. I have a feeling Modell will get in, especially since he died a few months ago. Personally I wouldn’t put him in for awhile because of how he screwed over the city of Cleveland and loyal Browns fans when he moved the team to Baltimore. Greene, Haley, Sapp, & Williams were all very good players but not Hall of Fame caliber. I’d lean toward saying the same about Andre Reed but I could be persuaded. I have to say the two weeks of Super Bowl hype hasn’t been all that noticeable or annoying this year. I am actually looking forward to the game. 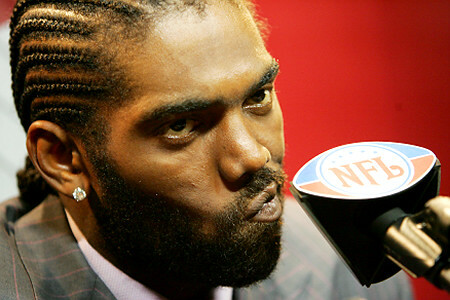 Dear Randy Moss: No, you are NOT the best receiver in NFL history. While I appreciate Moss’s confidence…or maybe it is more like bravado…the statement is simply asinine. Not only does that title indisputably belong to Jerry Rice, but there are a whole host of others that I’d put in the conversation ahead of Moss…the aforementioned Carter & Brown, as well as guys like Art Monk, Steve Largent, Lynn Swann, Don Hutson, & Marvin Harrison all accomplished more than Randy Moss. It is true that Moss is probably the most athletically gifted receiver to ever set foot on a field, but he has largely wasted that gift because of his immaturity, lack of focus, & indolence. Has he had a nice career?? Yes. But if his amazing talent would have been paired with a solid work ethic & good attitude then maybe he could have spent his entire career with one or two teams instead of five and possibly racked up multiple Super Bowl rings & numerous other accolades. As it is fans are left to ponder what might have been while poor Randy is desperately trying to convince us that his potential & his output somehow match up. Sorry dude…no one’s buying what you’re selling. While I have absolutely no interest in Beyonce’s Super Bowl halftime show (which she will undoubtedly lip sych) I must say that the choice of Alicia Keys to sing the national anthem is superb. I am really looking forward to that. 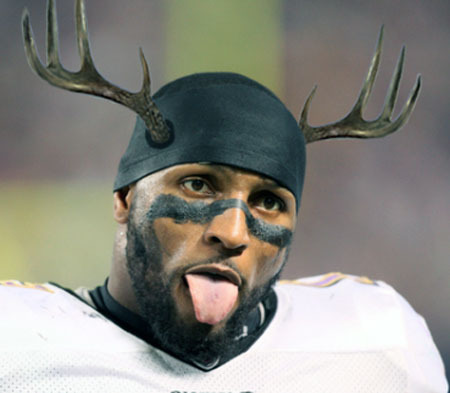 Is the fact that Ravens LB Ray Lewis may have used a banned substance…reportedly some sort of deer antler spray…to accelerate his recovery from a torn triceps muscle a big deal?? No, not really. But it is indicative of the character issue I’ve always had with Lewis. He is a hypocritical blowhard who uses Jesus as a co-star in his traveling sideshow. I don’t know what lies deep in the heart of Ray Lewis…only God is privy to that truth. But I am wary of “Christians” who talk too much. Jesus Christ wasn’t braggadocios and He does not want His disciples to conduct themselves in that manner. Your mileage may vary. So I guess the time has finally come to ponder the actual game. I really can’t get a good read on this one. I hope it’s a fun & competitive game because 45-3 blowouts aren’t the least bit interesting. I think it’ll be a defensive struggle with some big plays that’ll drive the score deceptively higher than what it’d otherwise be. I couldn’t possibly care less about the Harbaugh brothers angle (I think a Broncos-Giants Peyton vs. Eli battle would be far more fascinating). While I feel bad for 49ers QB Alex Smith I believe that Colin Kaepernick is the better player and Smith will get a better payday from some other team in a few months that he has ever deserved. Ravens QB Joe Flacco is the real deal and anyone who’s still on the fence about him is either obstinate or stupid. So how will it shake out?? The Ravens defense…mostly because of Lewis…gets more hype, but I really like the San Francisco defense. I think they make the difference. The true battle will be on the ground with the 49ers rushing attack of Frank Gore & LaMichael James going against Baltimore’s Ray Rice & Bernard Pierce. 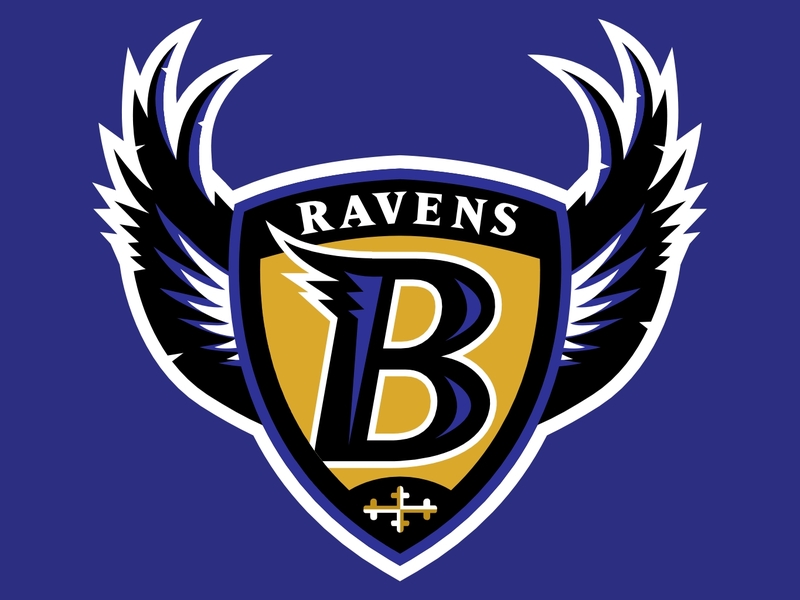 I’m guessing that the 49ers will gain 100-150 yards on the ground while I think the Ravens will struggle to rush for 100 and that is the difference. Keep an eye on time of possession. 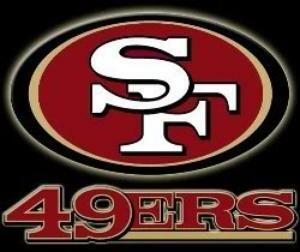 I’m predicting that the San Francisco 49ers wins that and will win the Super Bowl 27-21. Kaepernick will rush for a TD and throw two, winning the MVP easily. I may be wrong, I may be right, & I may be crazy.